We continue to work on the clan functionality and another round of improvements arrives on 10 October! Now any player can create a clan without spending money. Previously, to create a clan, a player would need to spend 2,500; starting on 10 October it can be done for 1,000,000. All players who belong to a clan will receive a new style. The style is season-dependent (summer, winter, and desert) and can be applied to vehicles of any nation and tier. Important: after leaving a clan, the style will be deducted; once you join another clan, the style becomes available again. Searching for a clan in the game client will be simpler. Instead of the Stronghold tab, the Clans tab will be displayed to players who do not belong to a clan. 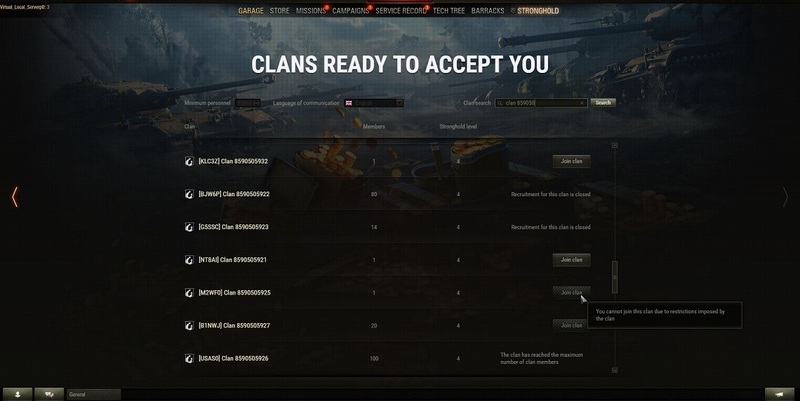 In the tab, players can view the list of clans that can be joined without application approval. This is not the final list of changes, so stay tuned for more news!